This week's "Who's Hot?" Artist of the week is Midwest rapper, Tahji! This under the radar lyricist hails from Detroit, Michigan and has been rapping most of his life. Tahji graduated from Belmont College with his bachelors in 2015 and played basketball and ran track in college. This rapper tries to tell life stories through his music and has an original delivery that needs to be heard. Don’t sleep on this up and coming artist! 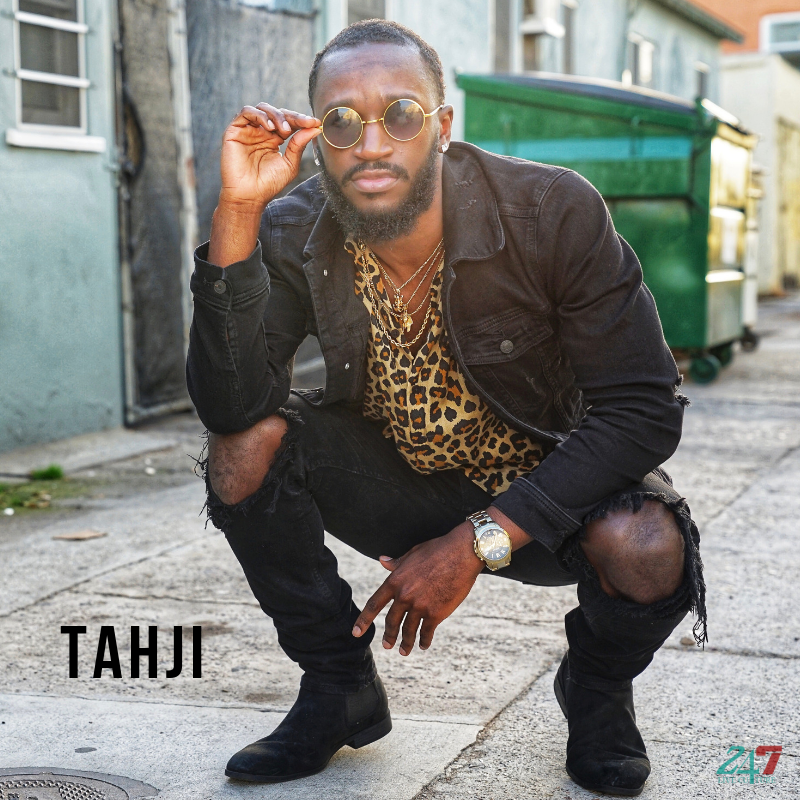 We talked with Tahji in an exclusive interview, check it out below! Tahji: I have been recording music for about five years but I’ve really been taking it serious for the last 2 years. I have always had a passion for music. I initially wanted to be a singer at 6, but fell in love with rap. Tahji: I have different artists for different stages in my journey. To name some i’d say, the Temptations, Michael Jackson, Lil’Wayne, J Cole, Nas, and Jay-Z. I originally wanted to be a Temptation and loved R&B. It was music that touched you. That was until I heard “I know I Can” by Nas and it touched me. I thought” rap music can bring real emotion out. At that point I liked rap. Then I heard Kanye “Through the Wire”, “ All Falls Down” and Jesus Walks” and began to be a big rap fan. I heard Lil’ Wayne Dedication 2 and fell in love with rap. I knew I’d rap at that point. I started appreciating Jay-Z more after the music was released and really going back to listen. Tahji: Definitely Meek Mill or J Cole. Tahji: I have two EP’s out on all digital Streaming services right now titled “Genesis” and The One”. My personal favorite song would have to be the “Nobody”. Tahji: I just released an EP last month so i'm going to be doing visuals for those and also 2-3 freestyles released on my instagram each month. My next project will be in the spring. Tahji: It is really a day to day thing. I pull inspirations from real life situations. I could be in the club or a funeral and just be inspired to write. Tahji: I love to be the best at what I do. I played a lot of sports growing up and this puts me in that same mode. I also want to provide for my family doing what I love. This is life now. Tahji: Versatile. I’m not in a box. It’s no way I don’t have a song for you. Tahji: Hard Work. You can not substitute it. Everything in life is a grind. Nothing comes to you so go get it. Tahji: Parents for sure. They put me on their backs. Showed me the way and I wouldn't be here without them. Tahji: I would say Lil’Wayne. I feel like he laid the foundation for all the music we hear today. For better or worse Wayne shifted the culture. Tahji: At this point I’d say passion. Right now i’m not the most “poppin” artist and I have a point to prove. I’m rapping like somebody that’s hungry and trying to eat. Tahji: I gave up a six figure job and moved to California. I put everything on the line but no risk, no reward. Tahji: The part I love the most is when I recite it after finishing the writing process. I’m so ready to record and hear it. Sometimes it can be discouraging if you love a project and the reception to it is not what you expect. Tahji: In 10 years I see myself as one of the biggest artists. I’ll be ushering in the next generation. Tahji: Don’t give up. There will be a lot of No’s but it only takes one Yes. This week's "Who's Hot?" Artist of the week is Philly rapper, Malcolm Taylor! We talked with Malcolm Taylor in an exclusive interview! Check it out here! This week's "Who's Hot?" Artist of the week is a dope Southern lyricist, Sullivan! We talked with Sullivan in an exclusive interview! Check it out here!